Once a month my good friend Rhonda (Rhonder to those of you in Rhode Island or Montville!) and I get together to meet for lunch and catch up on each other's lives. We've been doing it for several years now and we both enjoy it immensely. This month's get-together saw us celebrating Rhonda's recent birthday and she chose The Olive Garden for their unlimited soup, salad, and breadsticks lunch. An excellent choice no matter what the occasion may be! Being that none of you could join us, I was kind enough to bring along my camera so that you could "share" lunch with us. Rhonda isn't a blogger so this whole "take pictures of your food" stuff is new to her and she was quite bemused by the whole thing. As long as I promised not to include her in any of the pictures she was good with it and even helped "pose" some of the food for me. 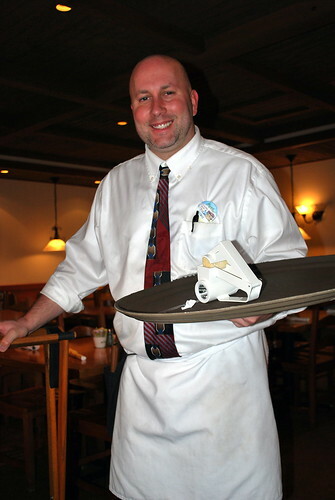 This is Thomas, he was our waiter and quite willing to pose for a picture when I asked him. And yes, he did have rosy cheeks!" 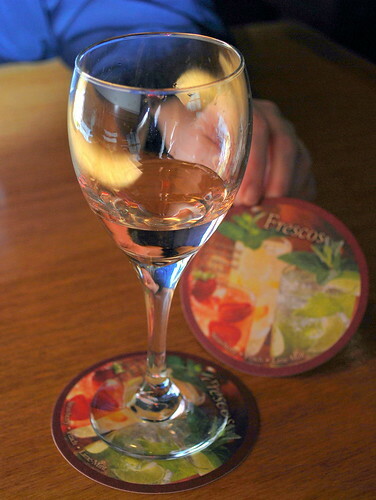 Thomas asked if we'd care for a complimentary sample of wine before our meal and even though Rhonda passed, I opted to try their house blush. It was actually molto saporito effettivamente! I was almost tempted to order an entire glass but Rhonda doesn't drink at all and it's no fun having a glass of wine when your lunch partner doesn't so I just enjoyed my sample and then had ice water. We started out with salad first and of course I opted for the grated cheese on top! 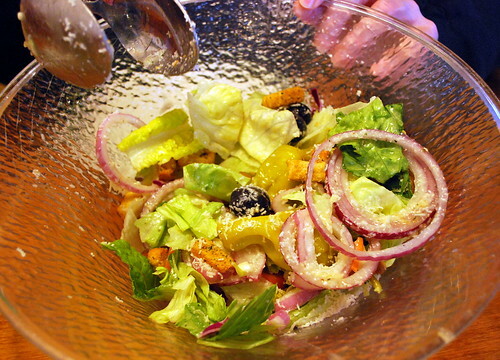 Olive Garden has some of the il la cosa migliore mai salad ever! 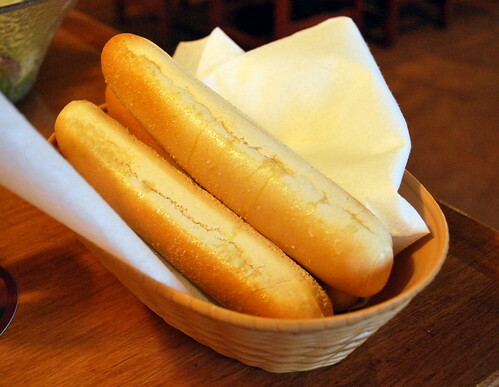 And of course there are the breadsticks ... who doesn't love Olive Garden's breadsticks made even better by the fact that they're unlimited?? Magnifico!! 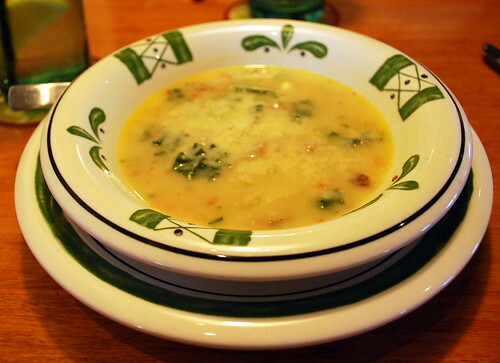 This is the Zuppa Toscana which is my favorito assoluto when I go to the Olive Garden. If I could learn how to make this soup, I would be in Italian-hog heaven. It's made with spicy sausage, russet potatoes and cavolo greens in a creamy broth and - of course - I had Thomas load it up with shredded cheese, too! 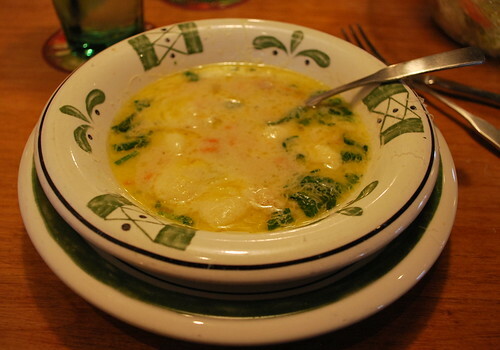 Recently, Olive Garden added a new item to their menu - Chicken & Gnocchi soup which is a creamy soup made with roasted chicken, traditional Italian dumplings and spinach. I thought I'd give it a try (with shredded cheese on top, of course) and found it be abbastanza buon effettivamente! Now I'll have a tough time choosing between my beloved Zuppa Toscano and the Chicken & Gnocchi soups the next time we go for lunch. Guess I'll just have to have both! Though we had thought about it, unfortunately (molto deludente! )we had no room for dessert while we were there as it's just too darned hard not to overload on the really good soup, salad, and breadsticks. Instead we opted to hit the Godiva store after walking around a bit at the mall next door. Rhonda's favorite there is the dark chocolate with marzipan filling while I chose a piece of dark chocolate almond bark ... after all, aren't dark chocolate and almonds both supposed to be good for you?!? As always, it was a delightful lunch and time well spent in the company of a special friend. I look forward to it every month and hope you enjoyed your virtual visit, too! 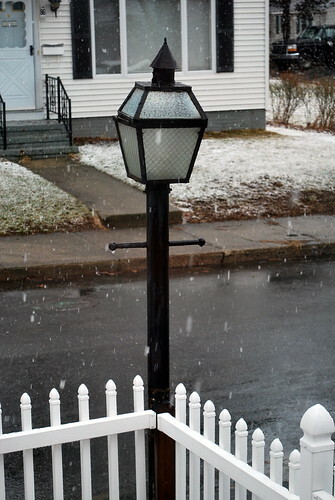 Those big white spots you see in that picture of the lamp outside my house are snowflakes - big, enormous snowflakes which had the nerve to show up here after our 60-degree temperatures this past weekend! Oh well, at least they didn't accumulate and stick around - that really would have put the wrong ending on an otherwise great day! With any luck, I won't be seeing anymore of them this year but with March in New England, you just never know! Great, now I am hungry for Olive Garden. Unlimited soup, salad and breadsticks? Now I know a Restaurant who have unlimited breadsticks but soup and salad? No, uh-uh, just this Olive Garden you went to lol, hahaha! I love Olive Garden SO much. And now I'm craving some salad from there. I'll have to see if I can drag the fam out there again some time soon. 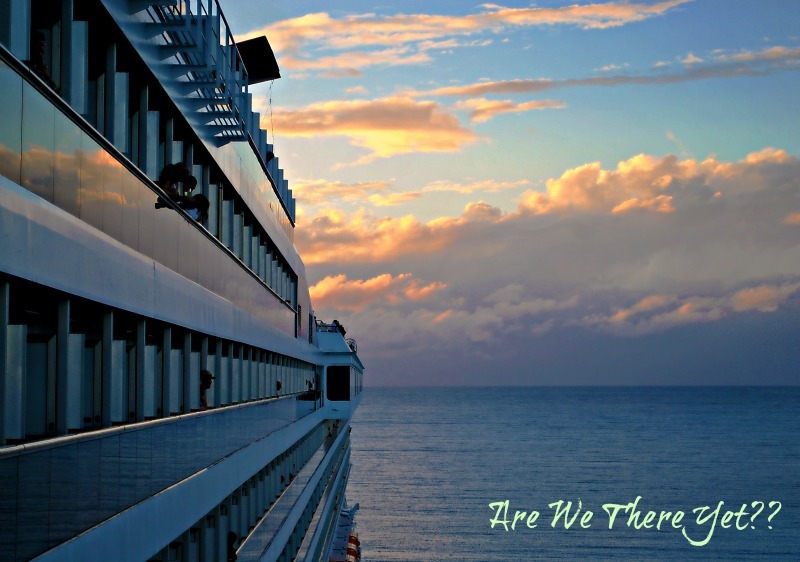 It's been a month since I was there, gosh darn it! I wonder if they still have the mezzaluna... OM NOM NOM. that is our favorite lunch when traveling by car. i love olive garden! ours closed last year when a new sweet tomatoes went in next door. too bad. i love both! Oh the soup, salad and bread sticks look very yummy. I've not been to Olive Garden in years. I wonder why? Oh, I'm sorry... was I drooling? I just had my Lean Cuisine and was feeling quite pleased with myself. Now I read about Italian food (my favorite!) at my 2nd favorite Italian chain. My favorite is Macaroni Grill! What super meals you tried. I love Italian, and would be keen to try what you had. If Bee wants to drive all the way out to Plantation I work right next to Olive garden....but, I never get to eat there. Olive Garden is my absolute favorite resteraunt to go to!! I love to order the Alfredo dipping sauce for the breadsticks and could live off them for eternity!! Olive Garden should hire you to advertise. Yum. I thought of you just yesterday as I went out to lunch and gasp! forgot my camera. I almost couldn't enjoy the food due to being unable to take photos to share with on my blog. Well, I did enjoy my food, but just a bit less. I haven't been to Olive Garden in forever. There's one around here somewhere...I'll have to find it.